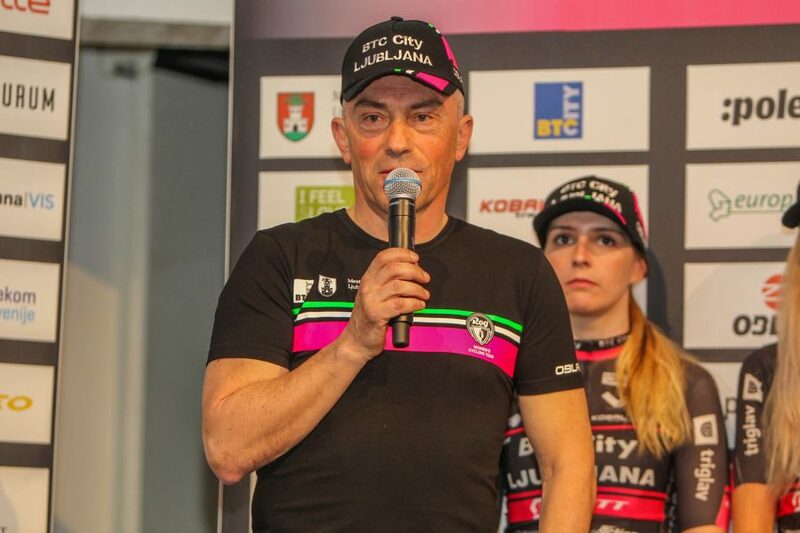 Presentation of women's professional cycling team BTC City Ljubljana and men's continental cycling team Ljubljana Gusto Xaurum • BTC d.d. 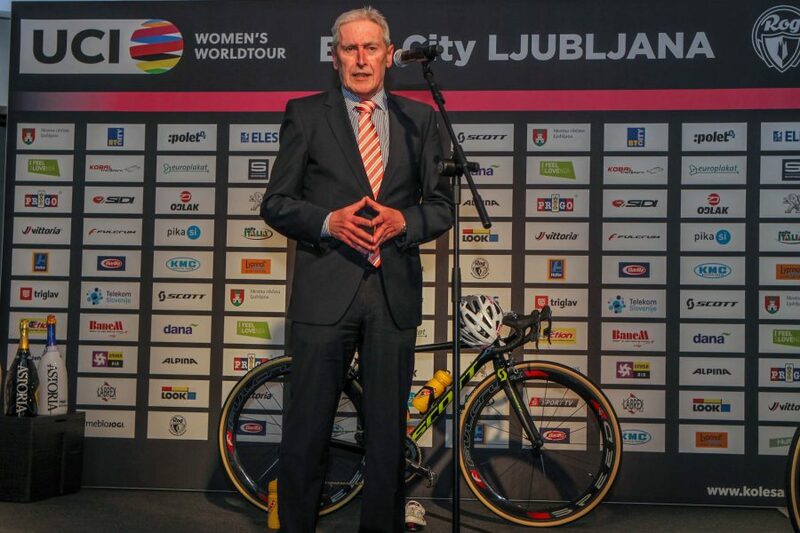 Yesterday, the Ljubljana Castle hosted the presentation of the cycling association KD Rog’s teams: women’s professional cycling team BTC City Ljubljana and men’s continental team Ljubljana Gusto Xaurum. Following the introductory speeches by the president of KD Rog, Aleks Štakul, deputy mayor of the City Municipality of Ljubljana, Aleš Čerin, and president of the BTC Management Board, Jože Mermal, the first to introduce themselves were the members of the women’s team. They are actively competing in all the most renowned cycling races across the world, such as Tour de France, Giro d’Italia, Prudential London, Tour of Flanders, La Vuelta Madrid, etc. The BTC City Ljubljana team includes 14 members from Slovenia, Croatia, Azerbaijan, Germany, Sweden, Poland, the Netherlands, and Russia. The team will compete in 105 races scheduled for this year’s competition programme in UCI, WorldTour, the European Championships in England, and the World Championships in Innsbruck, Austria. 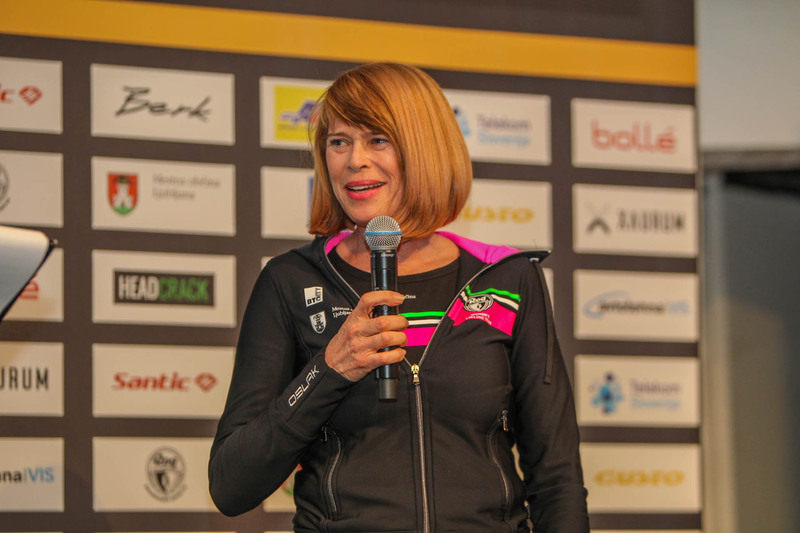 Eugenia Bujak’s wish to acquire Slovenian citizenship proves just how well Slovenian women’s cycling story is being written; this way, the entire national team will gain a strong member, especially with Polona Batagelj and Urša Pintar placing higher each year in the world rankings. 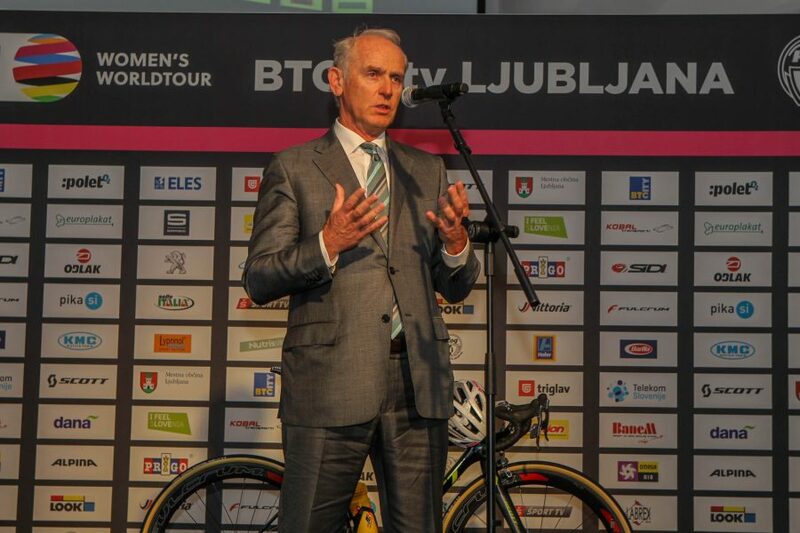 The City Municipality of Ljubljana has for several years played the role of the biggest supporter of the women’s team, the men’s team, and the entire association KD Rog. 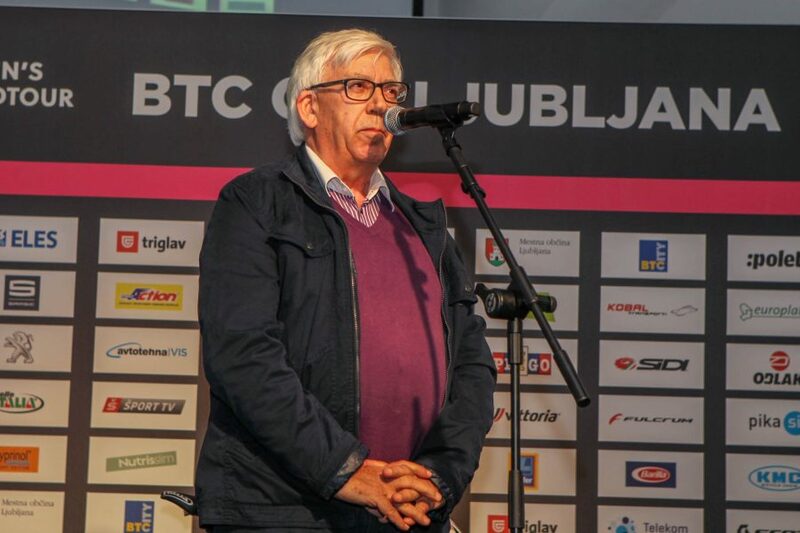 According to deputy mayor Aleš Čerin, the municipality is well aware of how important its support for the development of competitive cycling in Ljubljana and across the entire Slovenia is. 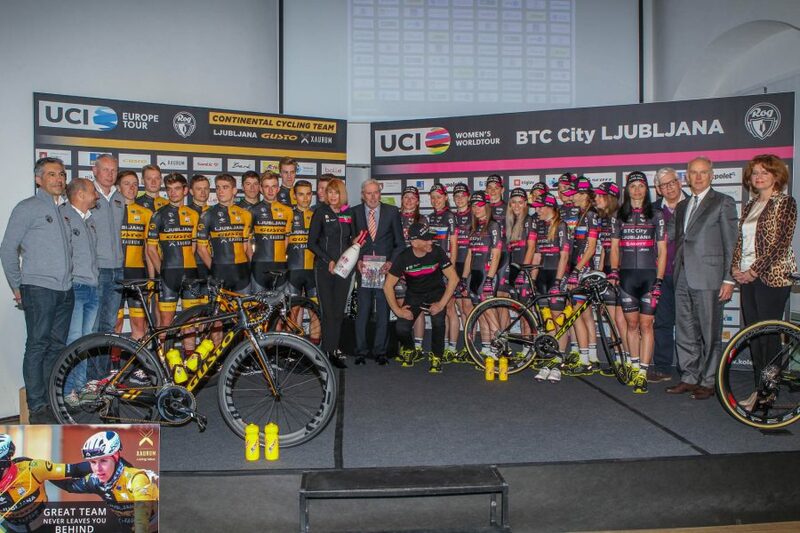 For 15 years, the BTC Company has supported recreational and competitive cycling in Slovenia; for the last 5 years they have paid special attention together with the City Municipality of Ljubljana and other sponsors to the only Slovenian women’s cycling team BTC City Ljubljana, which by competing in the most prestigious races of the women’s WorldTour across the world makes sure Slovenia and Slovenian brand names receive the best promotion in front of millions of viewers along the courses and in live television coverage. 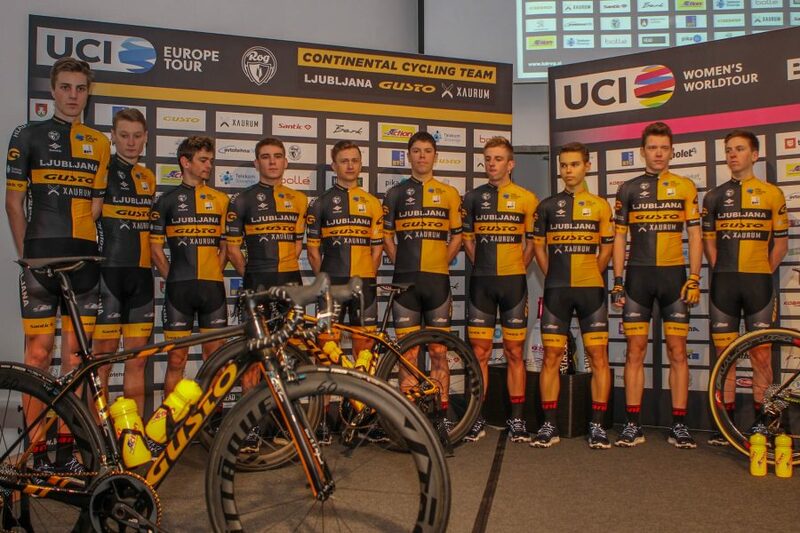 Ljubljana Gusto Xaurum represents a new and fresh image of the continental cycling team, which produced some international top cyclists. 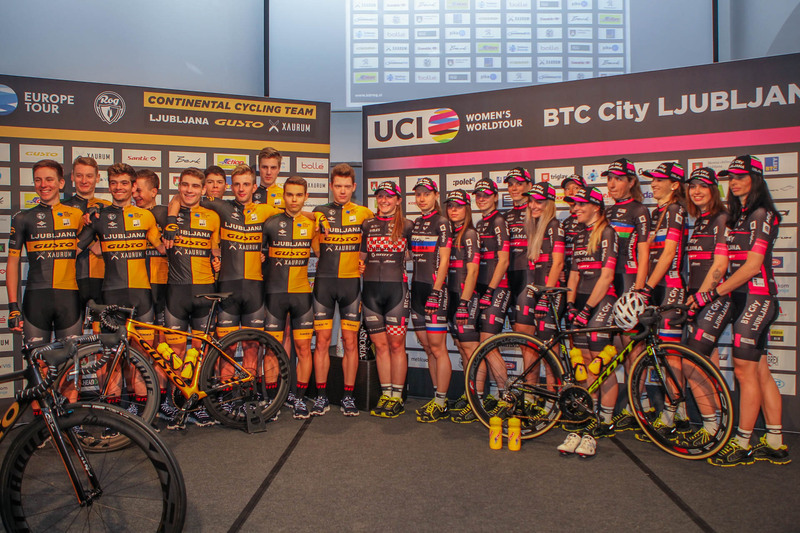 The team consists of 16 cyclists from Slovenia, Australia, Taiwan, Croatia, and Japan. More than 65 races are scheduled for this year’s UCI competition programme across Europe and Asia. Present at the presentation were all the members of the team, except for the competitors from Australia, Taiwan, and Japan, who will be joining the team at the end of the month, and did however greet to all those present via video chat. Via video chat, the participants were also greeted by the honorary consul of the Republic of Slovenia in Victoria, the federal state of Australia, Eddy Kontelj, who is a descendent of Slovenian parents and a great supporter of the Ljubljana Gusto Xaurum team in Australia. Calling from Taiwan was also the general manager of bicycle company Gusto, Harry Liao, who pointed out that their reason for providing the equipment and financial support for the men’s team lies in the team’s idea of connecting young talented cyclists from all over the world, since young cycling enthusiasts from Asia will be interested in this, as well. The representative of the Xaurum Company stressed out the importance of teamwork, of respecting each and every individual, and providing mutual support – factors that are equally important in sports and in a business environment. Since the Ljubljana Gusto Xaurum team boasts all these traits and due to the Company’s engagement in supporting young athletes, they decided to become the team’s sponsor.